The 10 Best Subscription Boxes List – Great Gift Ideas! Ever since I started My Subscription Addiction, I’m frequently asked “What’s your favorite subscription box?” For someone who subscribes to over 70 boxes, this is not an easy question to answer! For a while I’ve been thinking about putting together a top-10 list of my absolute favorite subscription boxes, but it was nearly impossible for me to narrow down my list. I finally decided that the best way to get to just 10 boxes, is to highlight the boxes that I subscribe to personally, and that I also have given as gifts. 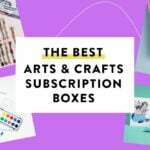 Every box on this list I subscribe to and I haven also given it as a gift – that’s how much I love and recommend these subscription boxes! Barkbox – $29 a month ($19 a month with 6-month subscription). Barkbox delivers a mix of a toys, treats, and other pup essentials. They send quality over quantity, so while a box may only include 4-5 items, they are full-size and well-made items. The treats they include are almost always all-natural, gluten-free, made in the USA, and sometimes organic! They toys are great too, and they customize the toys and treats your dog receives based on their size. We love this box so much that we gifted subscriptions to other dogs in our extended family! To Get it: Use coupon code BBSTAFF9BXC9 to save $12 off your 6-month subscription – bringing the cost down to only $17 a month! To Gift it: Gift 1 month for $29, 3 months for $72 (17% savings), $114 for 6 months (34% savings), or one year for $199 (42% savings). Barkbox Gift Subscriptions will be sent via email to the recipient – you can pick the day you want the email sent. Check out my Barkbox reviews to see what you can expect to get each month! I think I’ve gifted this subscriptions to Bespoke Post to at least 10 people in the last year. We just started subscribing to Bespoke Post at the beginning of 2013, and I was immediately hooked! I am consistently impressed with the quality of goods they send out – especially for the price point. I frequently call it a “mini-lifestyle upgrade” in a box because each month is a different collection of items that you didn’t know you needed, but now love! Past boxes have included amazing barware, the best dopp kit and grooming supplies, and everything needed for a delicious summer of grilling. Technically Bespoke Post is a subscription box for men – but I think it’s a great gift for anyone – especially since you can skip any month that isn’t for you! To get it: Bespoke Post is $45 a month, and use coupon code WINGMAN to save 25% off your first box! You also get the option to skip any month you’re not interested in. (They preview the boxes on the first of every month and give you time to opt out). To gift it: You can gift a 1 month ($45), 3 month ($135) or 6 month subscription ($270). (I usually go for 3-months). Bespoke Post will email you the gift certificate, which you can print out to give, or just forward to the lucky recipient! Check out my Bespoke Post reviews to see what you can expect to get each month! Birchbox is the subscription box that started it all for me! I got completely hooked on subscription boxes thanks to this beauty sample box. Every month Birchbox sends you 4-5 beauty samples. Sometimes you get a lifestyle sample as well (hair accessory, healthy snack bar, etc). The packaging and presentation of this box is great, and Birchbox does a fantastic job of sourcing the best new beauty products to sample. I’ve discovered some of my favorite beauty brands thanks to Birchbox, and since Birchbox has it’s own shop and rewards-points system, I’ve been able to buy my new favorite beauty items in full size at a discount! I’ve been subscribing to Birchbox for years now, and I still get excited when I see that bright pink box in the mailbox! I also gift this box a lot – it’s inexpensive (You can gift a 3-month subscription for $30), and it’s always a hit! To get it: Birchbox is $10 a month, or you can get one month free if you sign up for an annual subscription ($110). To gift it: Birchbox offers 3 month ($30), 6 month ($60) and 12 month ($110) subscription gift options. You have the options to mail the first box directly to the recipient and surprise them, or you can have the first box mailed to you so you can present the gift to them! Check out my Birchbox reviews to see what you can expect to get each month! Birchbox Man is a mix of grooming supplies and lifestyle items. Lifestyle items can range from socks, to wallets, to cufflinks, to headphones and other tech or fashion accessories. Their grooming products are usually deluxe sized samples as well, so the value of this box is impressive. I’ve gifted this a few times, and it’s one of the boxes I send to my brother in college so he always has new grooming supplies and the occasional fun gift like headphones, or practical item like new socks! To get it: Birchbox Man is $20 a month, or save $45 if you sign up for an annual subscription ($195). To gift it: Birchbox Man offers 3 month ($60), 6 month ($110), and 12 month ($195) subscription gift options. You have the options to mail the first box directly to the recipient and surprise them, or you can have the first box mailed to you so you can present the gift to them! Check out my Birchbox Man reviews to see what you can expect to get each month! A Citrus Lane subscription is my go-to baby gift. I subscribe to it to get great baby shower gifts, and I also gift subscriptions I love it so much. Each box usually includes 4-5 items tailored to your baby’s age and gender. They only use the best, healthiest, and safest products, so it’s a subscription you can truly feel good about. (All snacks included are usually organic, any plastic toys or products are BPA free, etc.) Citrus Lane also usually includes a special item for moms too – past boxes have included beauty items, healthy snacks, and other fun treats! To get it: Citrus Lane is $25 a month – save 50% off your first box with coupon code TAKEHALF. To gift it: Citrus Lane offers three different gift subscriptions: 2 months ($50), 3 months ($75), 6 months ($125 – one month free). Check out my Citrus Lane reviews to see what you can expect to get each month! The Honest Company is not only one of my favorite subscriptions, it’s also one of my favorite companies period. They make natural and organic products that are safe and healthy to use – items for bath & body, to home, to wellness and baby. And they expand their product line every month! We use all of their cleaning and bath and body products – I love not having to read the ingredients of new products coming into our home – I just get a monthly box full of Honest Company products and I know everything is safe! Their products are natural, and they work just as well as their commercial counterparts. They also have wonderful clean and natural scents like lavender and citrus. You can buy Honest Company products individually or sign up for their monthly bundles to save money. We get the monthly Essentials Bundle ($34.95 plus shipping), and you can pick 5 items to get in your box each month. (You can switch the items whenever you want, and you can add-on up to 3 more items at 25% off, plus shipping on your bundle is free at $50). They also have a monthly Diapers and Wipes Bundle for $79.95 a month – it includes all the diapers and wipes you will need for the month! To get it: Use coupon code INVITED10 to save $10 off your first bundle! Check out my Honest Company reviews to see what you can expect to get each month! Julep Maven is a nail polish and beauty subscription service. Each month they release a new collection of polishes, and you get to pick which box collection you want – either 2 polishes and a beauty item, or three polishes. Their polishes retail for $14 each, and with two polishes plus a full-sized beauty item, this box is always a great value for $19.99. Plus their polish is 4-free, and almost all of their beauty products are paraben and sulfate free! I’ve been subscribing to Julep for over a year and love it – I have quite the nail polish collection thanks to them! I also like gifting this subscription – it’s very popular with my friends! 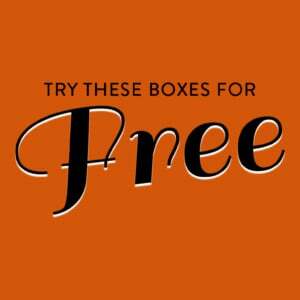 To get it: Use coupon code FREEBOX to get your first box free – just pay $3.99 shipping! Check out my Julep Maven reviews to see what you can expect to get each month! Plated – $60 for two meals for two people. Plated is weekly meal and recipe subscription service. Each week on Monday at noon EST they release their new recipes, and you can pick which ones you are interested in or skip that week. The meals then get delivered via FedEx on the following Wednesday. The packages are sent with cooler packaging and ice packs and shipped 2-day air so everything arrives cold. We’ve been so impressed with this subscription that we’ve gifted a box to a lot of our extended family – and everyone is so impressed with the quality of the food! (I also had one interaction with their customer care team and I was very impressed with their response-time and helpfulness). I love that the menu options let you know all the nutritional information up front – you can see how many calories are in each dish, and what type of food they contain: gluten, dairy, meat, etc. It’s a great way to make sure you eat healthy and have high-end restaurant-quality meals! To get it: Use coupon code 5b6a3e to get $30 off your first order of 2 meals for people – or one meal for 4 people! To gift it: Plated offers many gift card options: 4 plates ($60), 8 plates ($120), 12 plates ($180), 16 plates ($240), etc. (FYI – 2 plates = 1 meal for 2 people). Check out my Plated reviews to see what you can expect to get each month! POPSUGAR Must Have launched over a year ago, and it is my favorite subscription box for women. Every month includes a variety of popular items selected by POPSUGAR editors. Each box has a value of at least $100, and there’s almost always something for everyone. Boxes usually have 5 or more items, ranging in categories from food to fitness to beauty to home! POPSUGAR Must Have is my go-to gift for women – I know everyone I gift it to will come across a few items they will truly love. And so far all the friends and family members I’ve gifted it to have loved it! To gift it: POPSUGAR offers the same gift options as subscription options listed above. You can also select to have the recipient emailed about the gift when the first box ships! Check out my POPSUGAR Must Have reviews to see what you can expect to get each month! Sample Society is a great beauty sample subscription service. They consistently send out high-quality brands in deluxe-sized samples. Sample Society doesn’t promise a value, but I’ve been subscribing for over a year, and I think every box was worth at least double the $15 I paid. The packaging is gorgeous too – this box definitely feels like you’re unwrapping a gift! Sample Society has recently introduced gift option subscriptions, and I’ve already taken advantage of it – this has been a subscription I’ve wanted to share with friends for a while! To get it: Sample Society is $15 a month plus tax based on your shipping state. They only offer month-to-month plans, but you can always gift yourself a gift subscription to pay in advance and get some savings! To gift it: There are three gift options: a 3 month subscription for $45, a 6 month subscription for $60, or a 12 month subscription for $165 (get one month free). Once you buy the gift, a gift code will be emailed to your friend (or to you if you prefer to print and deliver in person). Check out my Sample Society reviews to see what you can expect to get each month! What do you think of the list? What are your go-to subscription gifts? Let me know in the comments! Looking for more great subscription boxes? Check out the Most Purchased and Most Wished For Subscription Boxes! I love it! Excellent article. Thanks for the sharing, I also found a useful service for docs merging. By the way, if anyone is facing a problem of merging PDF files, I’ve found a free service here altomerge.com. I just gifted 3 month subscription of birchbox to my mother. Can’t wait till she finally receives it in the mail. This subscription is somewhat of a trail. I have never subscribed to any of these subscriptions but would definitely love to check them out in the near future. Any suggestions on which one I should start with? I love Birchbox or Ipsy for makeup/beauty products (both $10 each). And POPSUGAR Must Have is great for a little bit of everything ($40 a month). Good list. But, it’s 2 years old. Do you plan on updating it? With so many new boxes, how about Top 20? Hi, what would be the best makeup/nail polish monthly box you would suggest to me for trying the first time. I have been debating over this for over a yr now and I LOVE nail polish and have oily skin so I don’t want a bunch of products I cannot use 🙁 could you suggest one. I read all your reviews but your top list is from a couple years ago so I figured I would as you now what would be your top suggestions? Thanks so much. I agree with a lot of your list except citrus lane. I signed up when my kid was four months and all of the baby items were behind her developmental stage by a couple of months. I did not renew my subscription after three months. We like bluum better but our favorite is koala crate–the newish little sister of kiwi crate. The whole kiwi crate family is awesome and imo the best kid box out there! I agree with many of the other people who have commented. I love the reviews and photos, as well as the comments from other subscribers. It has been very helpful when I am deciding what subscription boxes to buy as gifts……. or for myself. However I would love an updated list of current favorites. (Maybe even a top 15?) Perhaps many of the ones listed in this post would be the same, but I am wondering if there might be some changes since this original posting. Hi Liz! I would love to see an updated Best Subscription Boxes post! I have only a handful of boxes like Pop Sugar Must Have, Kloverbox, Yuzen, Citrus Lane for the kids and I have an on again, off again battle with Birchbox. With all the new boxes, I would love to hear your favorites now. I don’t think I was even aware of subscription boxes!! In the last few weeks I think I have signed up for about 10 of them! I just ordered a free trial of products from the Honest Company because of your review. My husband is sensitive to a lot of the chemicals found in laundry detergent so I do buy “green” or Eco friendly products. But I like to try different brands so this will be perfect. Thanks! I love subscription boxes, the foodies one are my favorite! I think they are the best way to spread fun throughout the year and they make a very thoughtful gift! I just discover MARY’s secret ingredients and I think it’s the one that impressed me the most. It’s an amazing box. The packaging and the curation makes it one of the best box to give as a gift! I signed up for Blind Surprise and bought it as a gift for my dad. I love their service, because it’s not samples and stuff like that. Really, every month you get a really great gift in the mail every month that is valuable. Does GlossyBox have gift subscriptions? I would gift that box. I also agree about Sample Society, Julep, PopSugar, and the original Birch Box. I’m also thinking of buying a gift subscription of the Little Passport Box (I think it’s called that) for my two nieces. Kids love getting something in the mail. I’ve loved Barkbox and Bespoke both and am dying to try out Popsugar! I love! Popsugar and have gifted them before. I especially love the special limited boxes that I’ve given my boss, which was a big hit! I’ve gifted a 3 mo. Of petite vour for my moms birthday and she loved it. This was her first subscription and I hope she returns the favor ;). I think yuzen is a really good gift box too, since I’m now subscribed, I’m going to wait on the spoilers before I open it, so I can use that as a gift if I need to. I can’t get enough of these boxes! I think there’s a box out there for any and everyone!